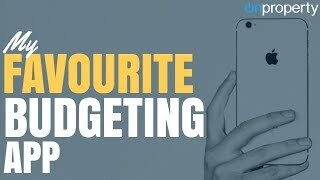 I want to share with you my favourite budgeting app that I have found and the one I will be using to improve my budgeting and money management moving forward. I mentioned in the previous video that’s something I want to get better at is money management and budgeting and something that I’ve never really focused on in the past. I’ve always focused on how to make more money and trying to make more money and I’ve never really focused on getting good at budgeting and getting good at money management. I’ve had times in my life where I’ve been really diligent at it and worked really well, but eventually it slips by the wayside. I stopped focusing on it and it just falls apart basically. So in this episode I want to share with you guys my favorite budgeting app that I have found and one that I’ll be using moving forward. Hey, I’m Ryan from onproperty.com.au and I firmly believe that if you want to become a successful property investor, there’s lots of different skills that you need to learn. One of those skills as money management and budgeting, but there’s also things like researching it, suburbs, finding positive cash flow properties, inspecting properties, talking to real estate agents, understanding, financing, negotiating. There’s this whole myriad of skills that you need to build up in order to become a successful property investor, and so this year I’ll be focusing on one by one working on those skills with you, so wherever you have gaps in your knowledge or gaps in your skill base, you can work on that, that which will move you forward towards your goal of financial freedom. So one of the gaps that I have, which is the perfect place to start really is this idea of money management saving and budgeting. I’ve been really good at learning how to make money, not so good at learning how to budget and save money. So we’re going to dive into it today and look at my favorite budgeting app, why I like it, why I recommend it, and you can save. It’s going to work for you, for everyone. Budget’s going to be different. Different things work for different people. So it’s up to you if you think this will work for you. And so let’s bring up my phone and the APP is called spending tracker. So if you go into the APP store and just search spending tracker, it will come up. It’s a free app to download a. There is a paid upgrade to it as well. Totally worth it. I think if it’s for you, but try the free version and then upgrade if you feel it’s worth it. I’m not sure if it’s on android or not. I’m sorry for those android people out there, but it’s definitely on iphone. So let’s go ahead and open the APP and I will show you through it right now. What we’re going to start with is looking at the settings and the reason that I love this app, if we go to the time period here, you can change it between weekly, monthly and yearly. A lot of the budgeting apps out there set you to only weakly or most of them actually set you to only monthly. Now the way me and my wife were going to be doing it, our finances is that we’ve looked at our annual income or our projected annual income and we’ve looked at some of the big expenses that are going to be happening this year. So my kids go to Montessori school, so I got to pay for school fees, we’ve got rent that we needed to pay for phones, electricity, Internet, those sorts of expenses that we really get rid of in our lives. We’ve kind of taken them out of our annual expenses so we won’t be tracking them in here because we don’t feel like there’s much point doing that at the moment. What we’re doing in here is we’re going to be tracking our weekly discretionary spending. So this is money we spend on food entertainment. I’ve been spending a lot of money on medicine and doctors appointments slightly because I’ve had pneumonia, etc. And so this allows us to do weekly, which is great. Not A lot of the apps do that. You can also set your start date for whenever you want your budget to start. Previously we’ve done monday or we’ve done saturday or friday to start our budget. We’re going to trial doing sunday because that way when we get to the weekend, if we’ve run out of money for the week or we’re getting close, we can have a tight day on saturday. But then sunday we’ll start our budget are fresh and so if we want to have a good time on sunday we can. so that’s our thinking behind that. You can set the time period, budget mode. I suggest you turn on, you don’t have to turn it on, but this allows you to set a budget for how much you want to spend for the week. So for a single person living with their parents, they might only want to spend $100 per week and that’s just going to be on the entertainment because their parents pay for food and stuff like that. Or maybe it’s $200 per week and they want to save the rest. For a family who’s got kids that they need to pay for and stuff like that, you might have more. So you can put anything in here. 500. Let’s put $700. You just put anything in there. Okay. So that’s your budget mode. And when we go to our spending, we can see our $700 budget. We can see our current expenses for the week and how much we have left. So back in our settings, the thing that also makes this app so good is this dropbox sync here. So if we’re going to dropbox sync, I can turn that on and that now syncs between my wife’s phone and my phone. So if we turN that on, then now if my wife uses that, puts in an expense, it’ll show up on my phone as well. So whether we’re together or not, we both know exactly how much the other person has spent and how much money we have left for the week. and so that’s the basic settings I think you need to upgrade to pro in order to get that backup backup and restore an automatic sinking. So that’s just something to be aware of. I think it was pretty cheap. I can’t remember how much I spent on it. So let me show you how to use this app. Using this app is really simple. Let’s say we go out and spend some money. I’ll just go ahead and delete these previous transactions are recorded this video previously and then it didn’t work. So we’ve got $700 for the week. Let’s saY we want to add an expense in, so let’s say we’re going to spend $100 on groceries. Okay, so we can see the categories that we can choose from here. I actually want to add a category. I’m going to call it groceries aris, so we’ll go ahead and we’ll add that category. Groceries. Go ahead. Done. So we’ve now spent hundred dollars on groceries. I know we’ve only got $600 left for the week. When it comes to categories, you can also add them in here. So groceries, I might want to change the icon, I could change it to a shopping cart. We can see there the shopping cart or maybe there’s an icon of some fruit or something like that. Um, I can’t really see anything else. Shopping cart makes a lot of sense. So we’ll go ahead and do that. I can see that in here. There is no category for coffee. Why? Why is that? Why is there no default category for coffee? That just feels completely wrong to me. That is obviously something I’m going to be spending money on so we can see a coffee cup there. Anything else that will be better? Not coffee. Cup is fine. Uh, so we can go ahead and add that. Now let’s say I go out and I buy a coffee and for me and my wife $9, which is kind of disappointing cause I don’t drink dairy. I drink almond milk. They charged me extra two coffees, $9, bit of a chip. usually we buy being. So let’s say I bought some coffee, $9 beans, that’s like 14. So I spent $23 on coffee for the weight. So we add that in. Now we know have only got $577 left and so it’s really easy to add in expenses. Whenever you sPend money you just go ahead and add an event. Let’s say I get some income in the form of a refund. So not talking about my salary, I’m not putting that in there. But let’s say I get a $20. Let’s say I get a $14 refund because the beans that are bought, the coffee beans are bought were off, and so I’m. I’m not even going to add a category. Let’s say if I can do it, a category must be added. I’ll just call it salary even though it’s not a. Let’s just add a category and we’ll call it refund. Okay, so now that that refunds in there, that puts it back into my money for the week, so my wife will often go out and she’ll buy clothes for the kids. Shouldn’t be by herself because the kids will be at school or at kindie. She’ll buy a bunch of clothes, some of them won’t fit or they won’t look very good, so she’ll take them back and get a refund for the ones that didn’t work so she can put the refund back on here. It goes back into our weekly spending budget and so that’s a really cool way that you can do that as well. You can even back date and we can go back here. You can see I’ve put soMe fake expenses in here. Let’s go further back. Let’s just put $100 in because I had pneumonia, which was not fun. I spent a lot of money on antibiotics, a lot of money on doctors appointments. Gino, I had to get an x ray to check in. My ribs were broken from coughing so much. That’s how bad my pneumonia was guys and the pain in my ribs. Oh my gosh. Intense pain. Absolutely intense pain, but no broken ribs. Luckily just been coughing too much. And so there’s trauma down there so you know, hopefully that will subside in time and now got a head cold as you can hear by my nasal voice. So we’ve been spending some money on the chemiSts and own doctors and things like that. So that’s basically how it works. Super easy to add in a transaction. I actually love that from the lock screen oF my phone, I can actually swipe left and I can go ahead and just straight away add in an expense for today. So let’s say, what am I going to spend money on today? We went to the market today, so we spent some money on food. So let’s just call that a into eating out. There we go so I can go ahead and add that in. So it’s really simple to add in. So managing your expenses in there, seeing how much you’ve spent, how much you’ve got left for the week is really good. The biggest problem me and my wife have is that we’ll use this and we’ll do it really well for a week or two. Then we’ll forget a couple of things, uh, and the transactions that we need to add build up. And eventually We give up on adding transactions altogether. So we really need to stay on top of it. That’s our biggest thing. Last feature I’ll show you in here, we turn the app sideways, then it shows you your categories so we can see what we’re spending our money on. So you can do a percentage or you can do a dollar amount. You can also change it to a bar graph if that helps. But we can see that I am spending well $100 on groceries. I spent 23 on coffee, I spent 20 bucks on eating out. So it breaks down your expenses in here and so you can see we’ll how much you’ve actually spent what you’re spending money on. Let’s say each week I think you can scroll back as well, you know, things might be different each week and so let’s say you can look through this and say, where am I spending my money? Oh, I’m spending a lot of money on coffee. Maybe I should try and decrease the amount of money I’m spending on coffee. Or maybe you could say, you know, I’m just not spending enough money on coffee. I need more caffeine in my life, so I’m going to raise that up and I’m going to spend less money on clothes or whatever it may be. I’m joking. Okay, you probably don’t need as much coffee, but I love my coffee. And another cool feature is this cashflow. And so you can track over the weeks how you’re going. So the green line up there is the budget and then we can see how we’re tracking according to budget. So you can see if you’re staying under budget, if you’re going over budget and how you’re doing each week. So this is cool. It’s not really for saving so much, but it is for managing your spending, how much you have to spend each week and make sure you stay within that. So that’s my favorite app for budgeting. It’s called spending tracker. So as I mentioned at the start of the video, there’s lots of skills you need to build up in order to become a successful property investor. I want you guys to get real with yourselves when it comes to money management and budgeting because the fact is I’m not good at these things and I’m happy to admit that to guys. I want to work on all these skills this year and it makes sense to just start with something that we all need to get good at. Whether we’re trying to save a deposit or if we’re actively investing, we need to. It only gets more difficult as you add more properties in. You’ve got more things that you need to manage. So this is a skill that we need to build up. It’s that I know that intellectually I know how to do it, but I just haven’t had the focus in order to do it, so I know that now that this is a focus for me, I’m going to be learning about it. I’m going to be consuming content about how to budget better, how to manage my spending better, but I’m also going to be allocating time each day to focus on this skill and improve this skill, so five minutes, 10 minutes each day to just use this app, the spending tracker app, and to manage my finances. Just keep focused on it so I know where we’re at because when I forget about it, that’s where we kind of run away and we spend more than we should. So I think you’ve asked a focus. We should be fine, but yeah, I recommend if you think this will help you, go ahead and check it out. I’ll be trying a bunch of different things over the coming weeks and months. Wow. It has just started pouring down with rain here. I’m going to be trying a bunch of different things over the coming weeks and months and sharing those with you. What works and what doesn’t. For me, the call to action today is that if you have any good resources that you would recommend, so videos that you watched, podcasts that you’ve listened to, articles that you’ve read, things like that, please leave them in the comment section down below of this video. I want to hear from you guys. I want to learn about this. I want to get better and then I want you guys to do the same with me as well, so if you’ve got those suggestions, please leave them in the comment section down below. If you are listening to this in podcast format, then head over to onproperty.com.au four sasha youtube, and that will redirect you to the youtube channel. Find the video and leave a comment over there. So that’s where we’re at. That’s my favorite spending tracker app. Go ahead and check it out, see if it works for you. And until next time, stay positive.